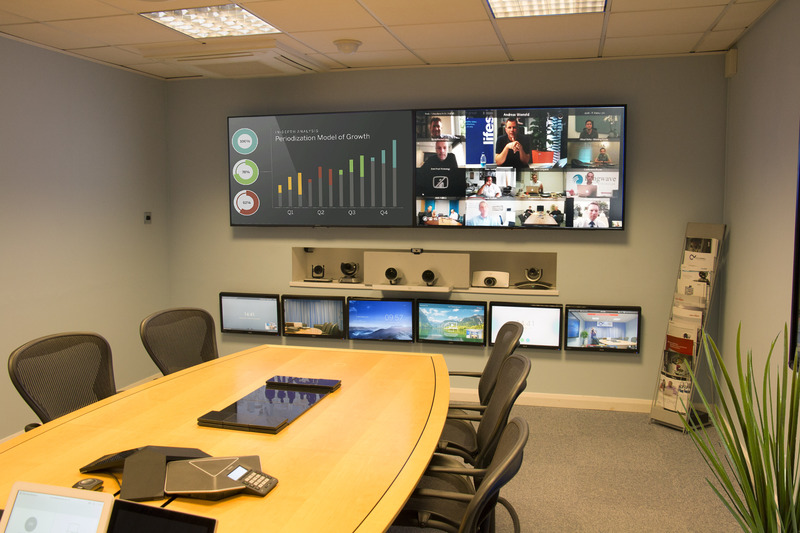 Compare virtually every manufacturers Video Conferencing technology and remote collaboration environments under one roof at the UK’s most comprehensive demonstration facilities of video conferencing and collaboration technologies. 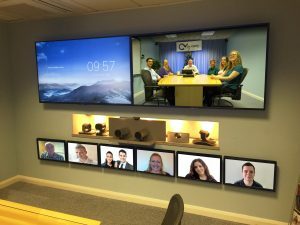 Including one of every video conferencing endpoint, and each manufacturers Video Network infrastructure integrated under one roof, customers and partner’s can arrange to visit the VideoCentric HQ demonstration suite in the heart of the Thames Valley. Compare like-for-like systems, cloud based conferencing solutions, Microsoft’s Skype for Business, Office 365 and Teams interoperability, and the most cutting edge Video Collaboration tools whilst surrounded by an unbiased, independent team of video experts, available to discuss your requirements, demonstrate each competing solutions benefits and pitfalls, and help tailor a solution for your business’ needs. Our full range of world-leading and lesser well-known technologies, alongside legacy and emerging solutions are integrated in an environment without pressure from any particular standpoint. Unaffiliated with any particular manufacturer, accredited with each one, and with individuals who have travelled through the journey of VC since it’s conception, our independent research and stringent testing in our own labs means we have an unique insight and ability to understand the challenges across the board. Compare and discuss all the options, in the same room, on the same display, with the same lighting conditions. Understand the pro’s and con’s of each in an interactive and unbiased environment. No pressure from a particular vendor. Technical engineers on hand for network discussions and planning if required. Arrange a visit with us and we will help you choose the right long-term solution for your business goals. 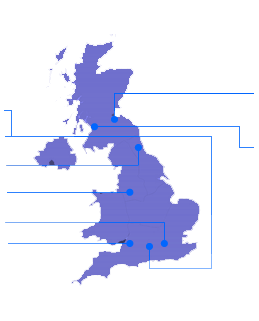 Plus, we have other locations, demonstration facilities & Briefing Centres across the UK! We are always excited to visit VideoCentric’s premises – their friendly attitude and knowledge of the industry makes our visits very comfortable, informative and definitely worthwhile. VideoCentric’s intensive testing of all the manufacturers’ solutions means we can also demonstrate the interoperability issues between different systems and show how specific solutions may, or may not be suited to your requirements. 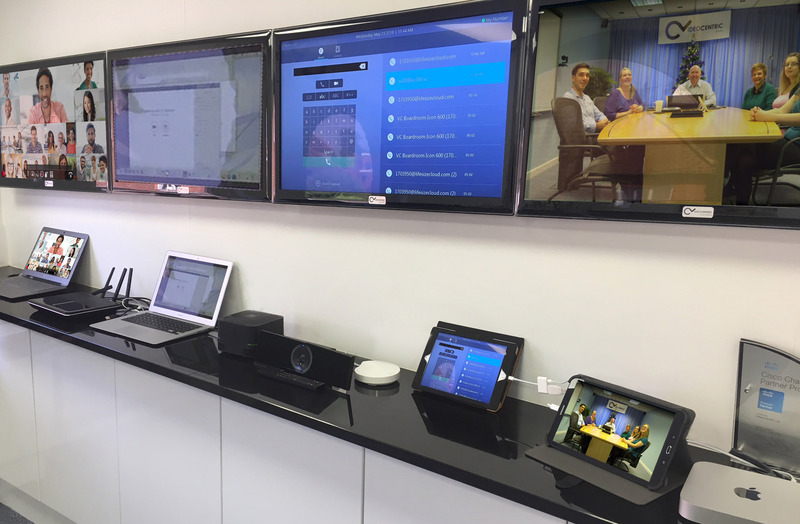 VideoCentric’s Boardroom Demonstration Suite enables all the leading manufacturers HD Video Conferencing technology to be viewed on the same dual displays under the same lighting conditions. This enables comparisons of systems not available at even manufacturer facilities. The facilities also enable Standard Definition systems to be compared top of the range 1080p High Definition systems and how they compare when implemented on the same IP network or over the internet. The suite includes today’s modern cloud integrations and infrastructure, combined with UC applications such as Microsoft Skype for Business and Audio Conferencing solutions such as Lifesize’s Touch HD phone and the new Polycom Trio and Polycom Pano. The Boardroom and Meeting Room Demonstration Suite also includes all HD and SD cameras deemed suitable for Video Conferencing from world leading manufacturers and the Iiyama 87″ interactive touch panel, with top of the range collaboration software, and bespoke room control designed and programmed by VideoCentric.